Are you constantly worried about damaging your iPad? 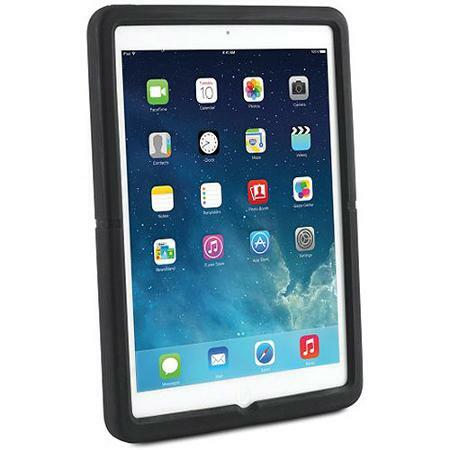 You spent a lot of money on your iPad Air or iPad Air 2 and need to keep it protected. Not to worry, Kensington has just launched a range of products to help you with all of your iPad protection needs. Whether you have your iPad for business or personal purposes Kensington has launched the SecureBack line which provides anti-theft security and protection while maintaining the thin, lightweight design of the iPad Air and iPad Air 2. If you are constantly on the run with your iPad device check out the SecureBack™ Rugged Carry Case which provides complete protection against bumps and drops and has a strong layer of rubber that protects the corners of your device. The case also includes a rotating hand strap and shoulder strap that rotates 360 degrees and makes it easy to view your device in vertical or horizontal modes. The strap makes it easier on the go leaving the device hands free and perfect for travel. With its rubberied texture the SecureBack Rugged Carry Case has a non-slip grip and is easier to hold and prevents it from sliding off surfaces. SecureBack™ Enclosure and Stand for iPad Air®/iPad Air 2 which includes a Tablet Stand and ClickSafe Lock and Anchor for anti-theft protection. SecureBack™ Payments Enclosure and Stand for iPad Air®/iPad Air 2 which includes a Tablet Stand and Tamper Protection to eliminate chances of unauthorized use. SecureBack™ Enclosure for iPad Air/iPad Air 2 which includes a protective cover and Tamper prevention to protect against unauthorized use. SecureBack™ Payments Enclosure for iPad Air®/iPad Air 2 which includes a credit card reader holder and power cord management. SecureBack™ Rugged Enclosure for iPad Air®/iPad Air 2 which includes a protective cover, built in ClickSafe Anchor and non-slip grip. SecureBack™ Rugged Payments Enclosure for iPad Air®/iPad Air 2 which includes a protective cover, credit card reader holder and 75mm VESA Mounts for quick installation of a kickstand or rotating hand strap.